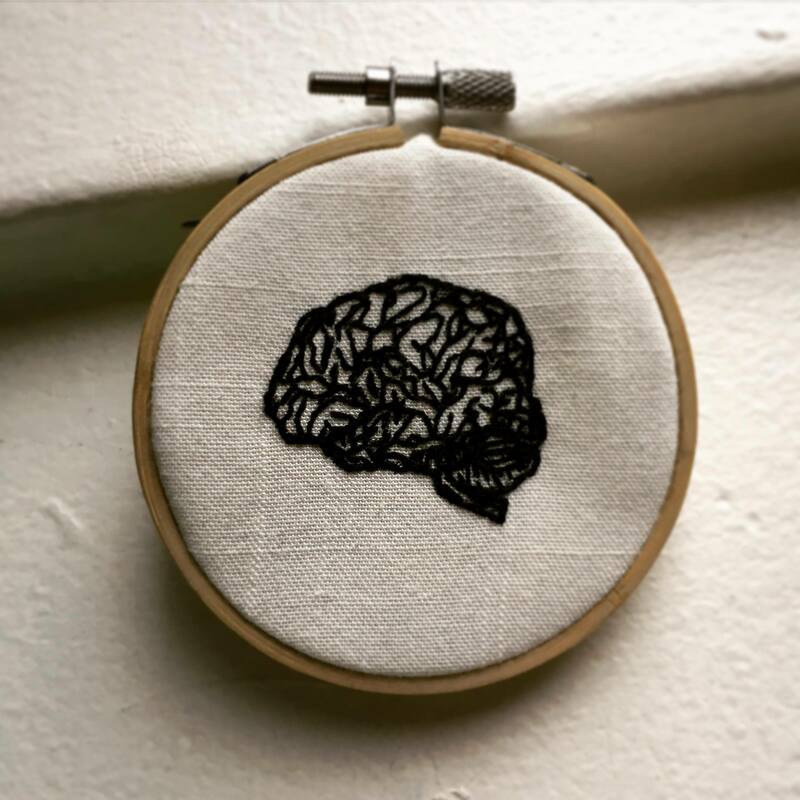 I am a sophomore intending to major in neuroscience and visual arts. 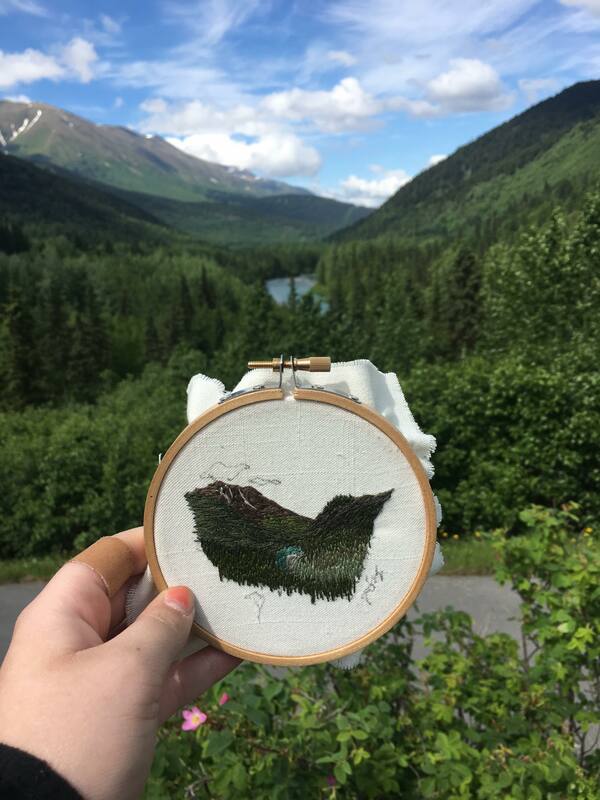 I am from Portland, Oregon, and growing up in the beautiful great outdoors of the Pacific Northwest has definitely influenced the love of nature which informs my work. 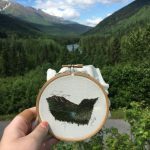 When I started doing embroidery, it was an escape for me: I was going through a very challenging time in October and November 2016–not just a challenging time for our nation, but a turbulent period in my mental health. 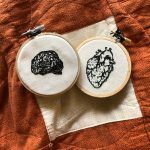 I needed a way to occupy my hands and escape my mind for a while, and embroidery was a positive, constructive outlet that met those needs. 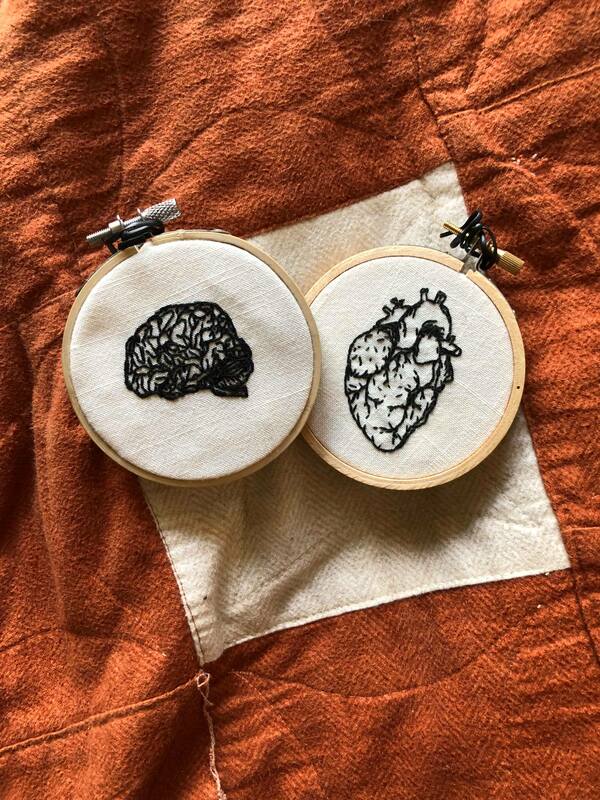 Thankfully, I survived that dark period, and I continue to use embroidery as a tool for self-expression and meditative mindfulness. 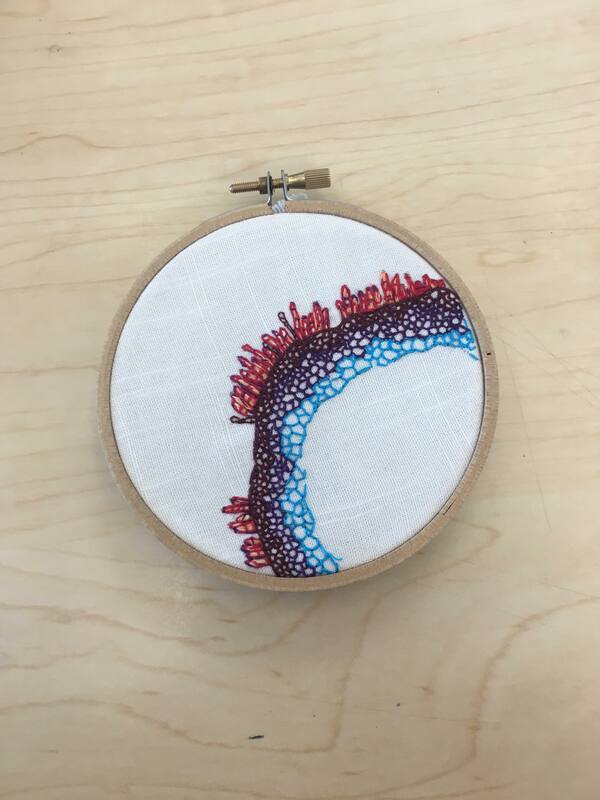 How do you incorporate your other interests, as a student and a person, into the embroidery work you do? Embroidery is not the only medium in which I dabble—I draw and make collages, and this semester I am engaging more deeply in painting as well. 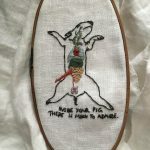 These other media are far less time consuming than sewing, which makes it easier for me to get my ideas out into the world within a realistic time frame. 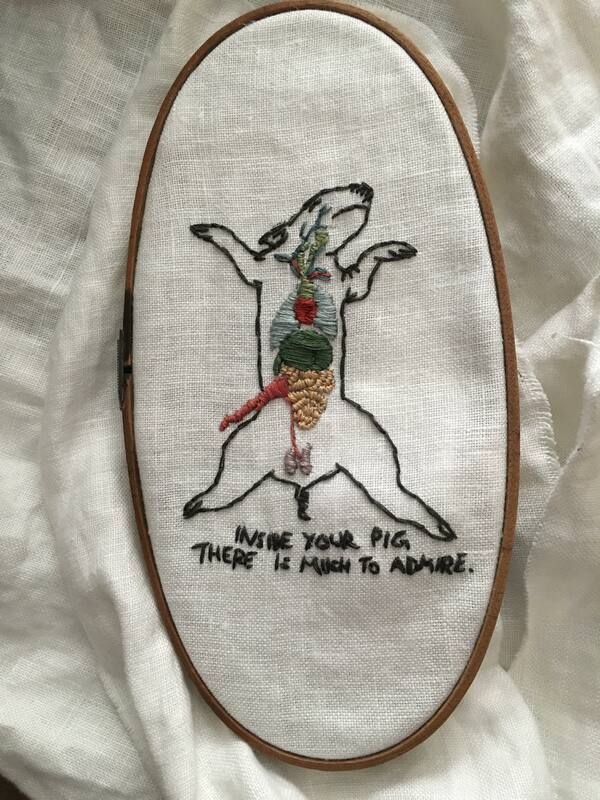 Are there other forms of art you’re interested in or already partake in? My embroidery is deeply contemporary and highly influenced by the internet-based renaissance of the art, which had been neglected for several decades, scorned as an extinct hobby from the time before women were allowed to do interesting things. I am seeking to reclaim the art form, not as a woman, but as a human person. 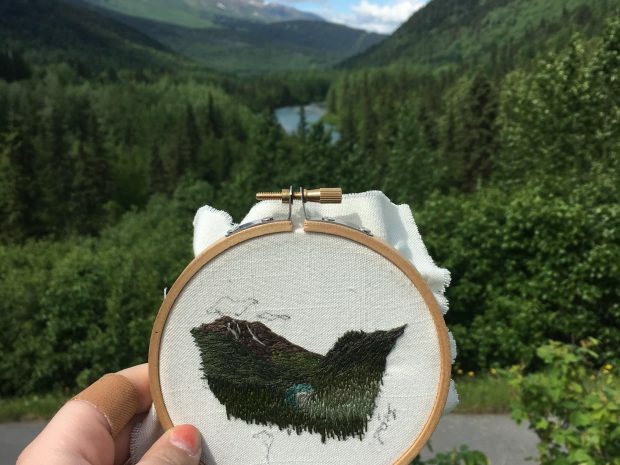 As with all of my work, academic and artistic, I wish to be respected for the content of my vision and ideas, and by doing so, I hope to help legitimize embroidery in the eyes of the artistic community. 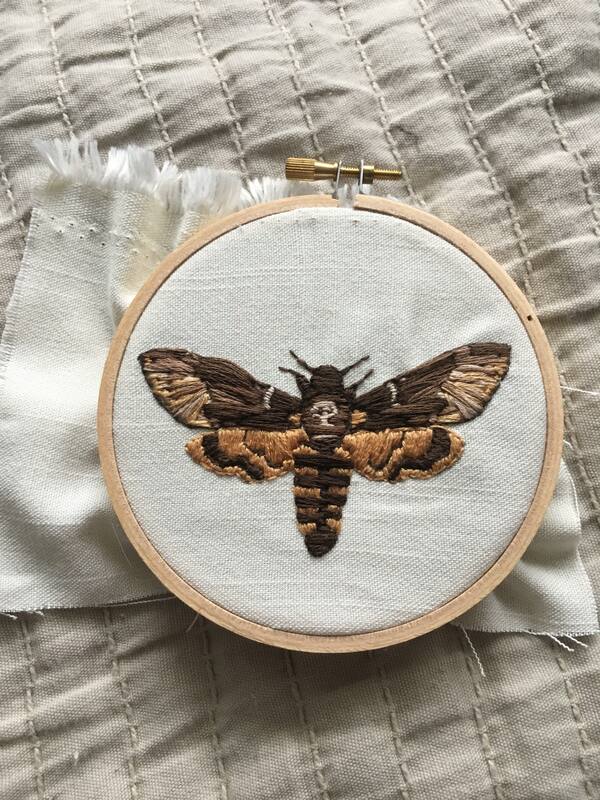 Who are some of your biggest artistic inspirations and how do you incorporate these influences into your embroidery? Visually, I am influenced by my studies in anatomy and physiology, and often look to other artists who have done the same. Max Ernst and David Fullarton are conceptual inspirations for me, with their use of collage and surrealist humor. 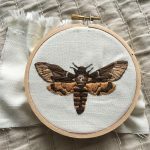 I often look to science fiction, like the Alien movies, and other things that bring me joy, like moths, to generate the imagery that I use. 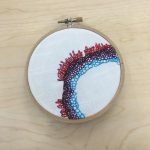 Looking forward, this year I will be working on an independent study in which I will generate a portfolio of works based on histology: the study of biological tissues on a microscopic level. I don’t yet know where this study will take me, but I am looking forward to the journey.